← Been Busy . . . Someone once asked Slick Willie Sutton, the notorious bank robber, why he robbed banks. The question might have uncovered a tale of injustice and lifelong revenge. Maybe a banker foreclosed on the old homestead, maybe a banker’s daughter spurned Sutton for another. Sutton replied; “ I rob banks because that’s where the money is”. A great number of culture change gurus and corporate culture consultants tend to focus (and many over focus) on the impact the senior leadership team has on corporate culture. And there are some very interesting reasons for this. First, the senior team does have an important role in establishing and perpetuating corporate culture. 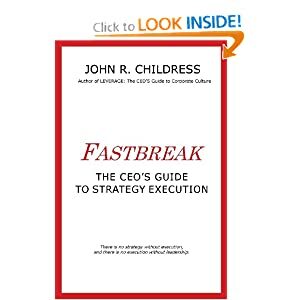 Second, equating the strengths and weaknesses of the company (and by association the corporate culture) with the behaviour of the senior leadership team fits nicely with the current business infatuation with charismatic leadership and the perceived importance of “rock star” leadership teams. And third, that’s where the money is! By focusing on the CEO and senior team as the key influencers in culture and culture change, consultants are opening up the vault to more lucrative business down the line. The senior team has the keys to the vault! As someone who has studied, consulted, coached and written about corporate culture and leadership for the past 30 plus years, I do believe the senior leadership team has a significant influence on the corporate culture. In many ways, organizations are shadows of their leaders and the behaviour of senior executives can set the tone for the culture going forward. But the impact of leaders and the senior team on corporate culture is not uniform across time, and this is where the bulk of culture consultants get it wrong! In start-ups and early stage companies, the senior team, including the founder(s), tend to set the “ground rules” and even, in some recent instances, create specific “culture decks” (like at Netflix) that describe the culture in detail. In small to medium organizations where employees have frequent contact with senior executives, the behaviour of the leaders is of great influence on establishing the culture and the ways of working. But things are vastly different in large or well-established companies. Here the impact of leadership behaviours tend to wane rather dramatically, being replaced by the growing influence of peer pressure, fuelled by the very real human need to fit in with the group and not be seen as an “outsider”. This chart, based on experience and observations, describes the falling and rising influence of these two groups on establishing and sustaining corporate culture. 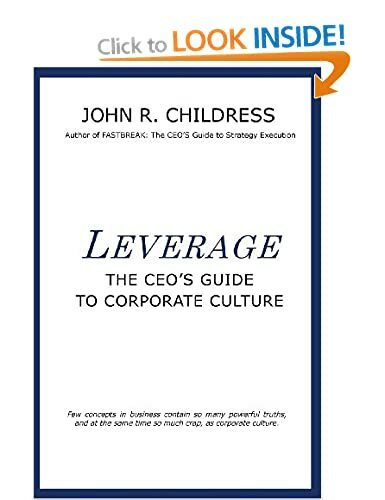 In many writings on corporate culture, the impact of the leader (CEO), and leadership team has been over exaggerated and as a result, many of those looking to understand corporate culture, how it is formed and how it is sustained have missed a very important and powerful cultural lever, peer group pressure! However, when leadership teams up with key employees who are respected by others and are also key influencers, the combination is a powerful catalyst in reshaping or realigning corporate culture. This entry was posted in consulting, corporate culture, Human Psychology, John R Childress, leadership, Organization Behavior, Personal Development, strategy execution and tagged business, business books, CEO, coaching, early stage companies, leadership, notorious bank robber, peer pressure, senior leadership team, senior team, senior team dynamics, shadow of the leader, willie sutton. Bookmark the permalink.